We live adjacent to a buffalo farm... Very clean, rarely a scent. Our house is being destroyed and our porch is unusable due to all of the fly xxxx (looks like black mold everywhere). What is the most effective that can be sprayed on vinyl siding, around house, etc. Is there any harm in using 2 ounces per gallon? The one ounce didn't seem to do anything, but the 2 ounces seemed to kill them when it was wet... when it dried it only appeared to repel a majority of them... thank you for all of the advice Ron! Of course, use 2-3 oz per gallon if you need to. I wouldn't use more than 3 oz per gallon of water. In this situation, regardless of how clean the adjacent buffalo farm is, there will always be flies. To control them you will have to use a repellent spray such as Demand CS or Bifen on the walls, flooring and even the ceiling of the home. Maxforce fly spot bait sprayed on these areas may also be the answer. The best product to use indoors is CB 80 Aerosol. This is a handheld aerosol, sort of like hair spray that you spray into the air. Usually a 2-3 second blast in the average room will kill all the flies within minutes. Just spray it and then leave the room for a few minutes and let it dissipate. CB 80 contains natural pyrethrins, and is not extremely toxic to humans or pets, although you do not want to breath it. Outdoors, use the Fly's Be Gone Fly Trap. Place it away from the home and not close to it. This trap will attract flies away from the house like a magnet. 2 or 3 traps placed outdoors will work wonders, and last for several months. Spraying outdoors with Bifen will also help. Just spray the lawn, under shrubs, trees, around doors, windows, etc. Anywhere the flies could be living, breeding etc. A really useful bait indoors is Maxforce Fly Spot bait. Dilute this bait in water, such as in a "windex bottle" and spray it on trash cans, on window sills, and anywhere the flies land or rest. It works great. Indoor electronic fly traps for home use, usually do not provide enough control, and also do not attact the fly problem at its source. Finding the source, or keeping the flies at bay outdoors, is always the best treatment plan. 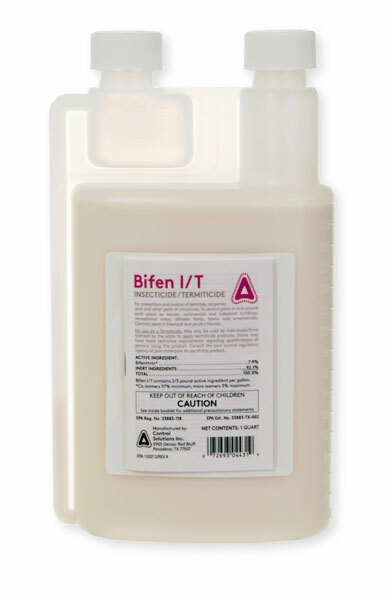 Bifen will kill the flies that it contacts, it also helps to repel others. The question is how was it applied? Did you spray the walls, floor, etc? Also treating the lawn is a must. You may need to apply this every few days, week, etc. Mix 1 oz per gallon of water and just keep a sprayer on the porch. Also the Flies Be Gone fly traps placed at the farthest point away from the house and closest to the farm could help to intercept them as they attack from across the field. Don't use fly traps with black lights or anything like that near the house. They attract flies. Also, consider using different lights on the porch, maybe the yellow bug lights you can buy at hardware stores.